생체계측신기술연구센터 (ABRC) - 본 연구센터에서는 현재 병원을 일정시간대에 방문하여 고정된 기기에 의하여 검사를 통하여 이루어지는 진단과정에 존재하는 시간적, 공간적 및 물리적인 구속 요인을 극복하여 진단의 범위를 병원 밖으로 확장시킬 수 있는 미래 의료 형태에 필요한 생체계측 및 진단 기술을 개발하고자 한다. 정상적인 가정생활 및 사회 생활에 구속을 가하지 않으면서, 나아가서는 생체계측에 대한 별도의 의식을 하지 않는 상황에서 인체의 기능을 지속적이며, 신속하게 계측할 수 있는 첨단 진단 기술을 개발한다. 본 연구센터는 이러한 목적에 따라 무구속 / 무자각 생체 계측 기술 개발에 관련된 기반 연구를 수행하여 연차적으로 건강, 의료, 복지, 생활 및 산업 등에 활용할 수 있는 실용기술로 발전시키고자 한다. The Advanced Biometric Research Center do the researches on biomedical measurement technology to expand the scope of diagnosis overcoming the temporal, spatial and physical limitations in the current diagnosis process. We develop an advanced diagnosis technology which do not restrict normal life and which can measure quantitative functional states of human body as early as continuously and as without awareness as we can. 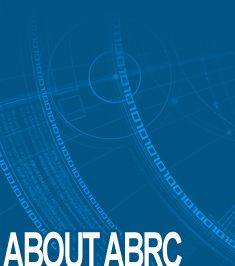 In this goal, the ABRC proceed basic researches to measure biomedical signals using unconstrained and/or unaware technology out of hospital like home and office, and advance them to practical technology levels to enhance health, medical services and welfare by coworking with related industries. 생체신호 및 정보 연구실 (BMSIL) - 본 연구실에서는 생체에서 심전도, 심탄도, 광체적흡광도, 뇌파 등의 계측 및 계측된 생체신호에 대해서 이를 처리하고 분석하는 연구를 수행하고 있다. 생체신호 및 여기에서 추출할 수 있는 여러가지 정보들을 정확하고 쉽게 측정하는가와, 여러가지 정보를 추출하는 방법과 관련하여, 계측된 신호를 잡음과 구분하기 위한 필터링 방법, 신호의 주파수 성분을 분석하기 위한 스펙트럼 분석방법 등을 비롯하여 생체신호에서 정보를 도출하는 데에 사용할 수 있는 여러가지 신호처리방법에 대해 연구한다. 우리 연구실은 현재 과학기술부의 우수연구센터 사업인 생체계측신기술연구센터 프로젝트를 비롯하여 여러가지 연구지원사업을 수행하고 있다. Biomedical Signal and Information Laboratory mainly do the researches on application of biological signals and information for the diagnosis of diseases and monitoring of health status. Signal covers most of measured data from the subject by various methods including sampled data, time series, static images and moving images. These signals are measured through appropriate sensors and represented as digital data in computer. Information means valuable quantitative or qualitative data that can be used directly to the diagnosis and therapy of diseases. So, to get valuable information from the measured raw signals, we need to apply many kinds of signal processing and analysis methods. After series of experiments and verifications, this whole procedure from measurement of signal to information representation proceed to the development of medical instrument for practical and clinical use. These works are also for the people not in diseased state as well as for the diseased. Disease diagnosis and health monitoring are the area that are focusing. So, we can summarize that we are doing researches on biomedical signals and information toward our healthy future.